Director Lynn Shelton, the auetuer behind indie favorites Humpday and Touchy Feely, returns to adolescence and a life crisis in her new dramatic comedy Laggies. The international trailer finds Keira Knightley as a 28-year-old woman who has run into a dead end in both her career and relationship. Wanting to escape her own existence, she decided to hide out with a 16-year-old (Chloe Moretz) and eventually connects with her new BFF's father (Sam Rockwell). Is true romance waiting at the end of this coming-of-age tale? 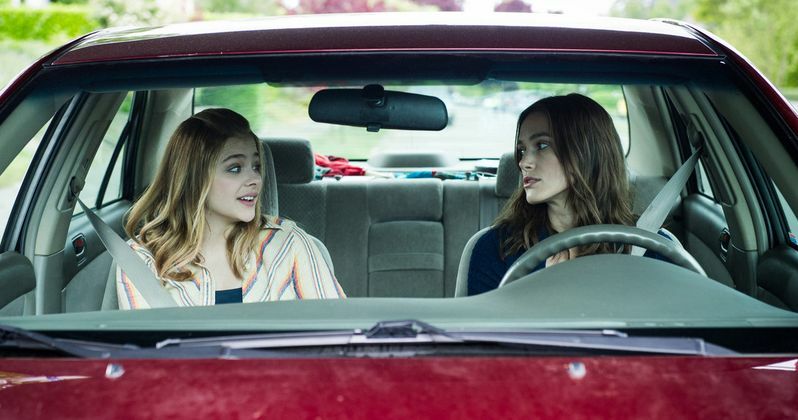 Check out the latest look at Laggies, which hits theaters in late October. The latest comedy from indie darling Lynn Shelton follows a 28-year-old woman named Megan (Keira Knightley) who faces a quarter-life crisis realizing she still works for her father and is still dating her high school boyfriend (Mark Webber), who has just proposed to her. Looking to lay low, she befriends a 16-year-old named Annika (Chloe Moretz) and starts hanging out at the girl's house, eventually making romantic sparks with Annika's attractive single father Craig (Sam Rockwell).